Now includes free e-Book! Develop a dental office policy manual with the ADA's help. 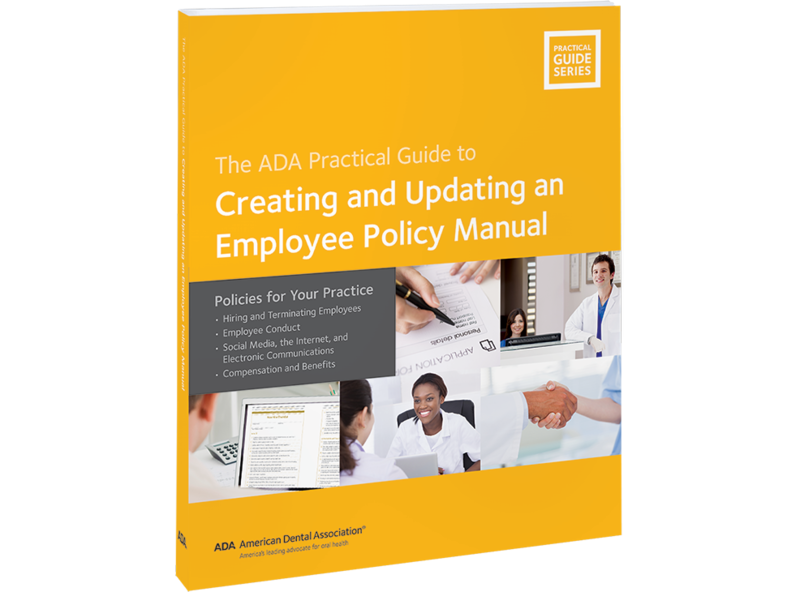 This ADA e-book includes sample employee policies and procedures, forms, and worksheets to help craft the perfect policy for your dental employee handbook. Also offers information on dental staff training (including OSHA and HIPAA), employee motivation and appreciation, and patient management. Digital templates of policies and forms are included for quick and easy personalization.